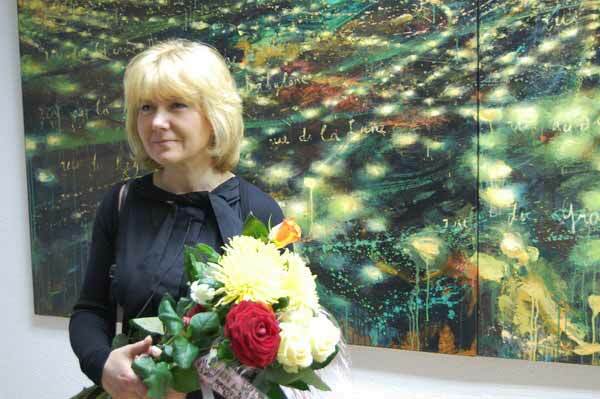 An exhibition of paintings by Natalya Zaloznaya "Free Flight" opened on March 2 at the Museum of Modern Art in Minsk, Belarus. 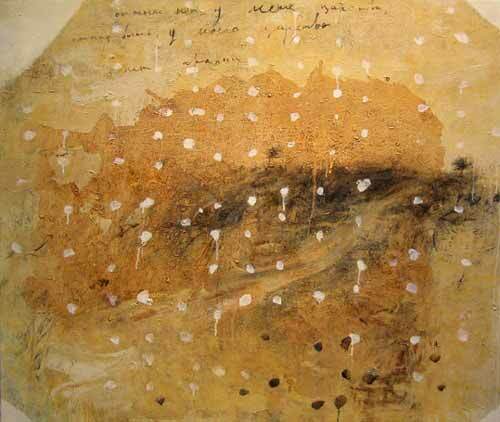 Natalya Zaloznaya is a renowned contemporary Belarusian artist who lives and works in Belgium. This is the artist’s first exhibition at her home country for over 10 years. Her solo exhibitions were held in Holland, Britain, France, the United States, Russia and Austria. "Natalya has gone from the traditional Soviet aesthetics to neoprimitivism, and after that she evolved in the direction of abstract painting,” notes Olga Kovalenko, an art critic, who in 1990 was the curator of the artist’s exhibition at the Belarusian National Art Museum. “And now that’s what draws attention – her fascination with abstract forms is combined with figurative elements, associative images. No doubt Natalya’s kept her distinctive features she used to have before: aspiration for emotionally saturated images, and desire to convey feelings and vibrations of modern human by means of color-textural forms." The centerpieces of the exposition are four textured works that were created by putting several layers of transparent tape with a text on it. The lines of the texts are applied with different density. That results in new text but more graphic this time, which even looks like a stereo-image. “These works reflect the impressions from traveling to Jerusalem”, explains Olga Kovalenko, “these are palimpsests: old, ancient layers show through new ones. 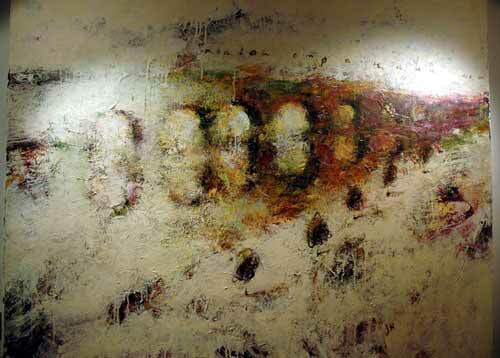 It’s like old art that loses relevance is covered with a new layer of contemporary art. But old does not disappear, but simply shines through out postmodern works as its foundation”. The exhibition runs through March 14.